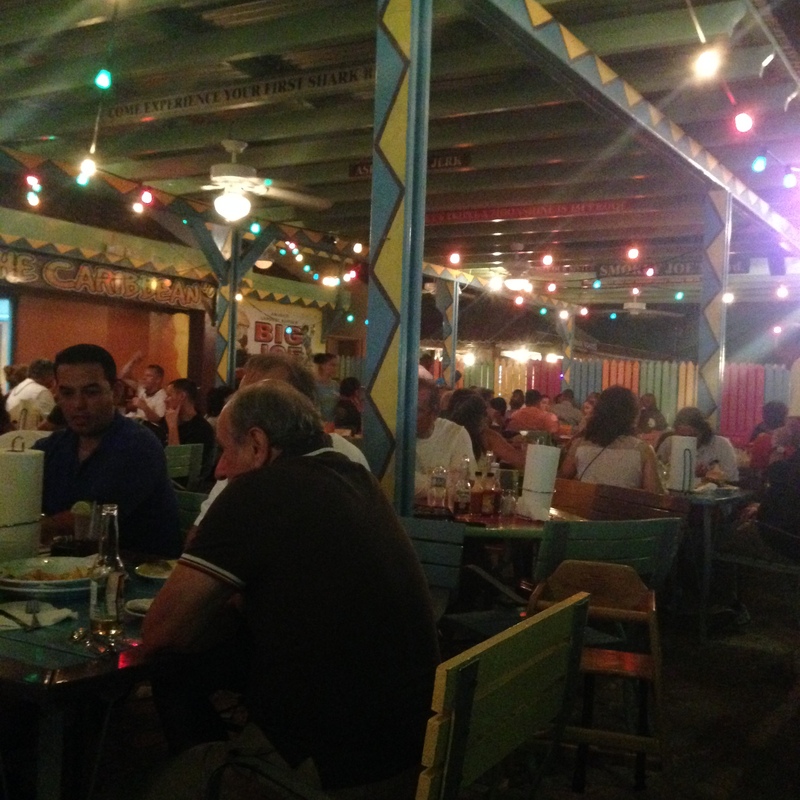 You might first dismiss this place as a tourist attraction due to the decor, the common iguanas, Tex-Mex/BBQ decor, however, you are really missing out on something great if you judge this place by its appearance and don’t at least try the food once. We might as well start this off with what this place is all about. Great BBQ, and probably the best barbecue I’ve ever had. Nothin fancy here. Don’t come for the drinks (thought he sangria is good) and don’t stop in if you are in a hurry, there is almost always a 20-30 minute wait since they don’t open until 5pm. I am not a big fan of waiting for anything, especially since some places make you wait just to create the allure that its so popular that there is a wait. This is not the case, this is the real deal and as you can see the place is packed and with just casual people. You know when there is a full cup of moist towelettes and a full roll of paper towels on each table, you are going to get dirty, and love it. Of course you have to start with drinks. 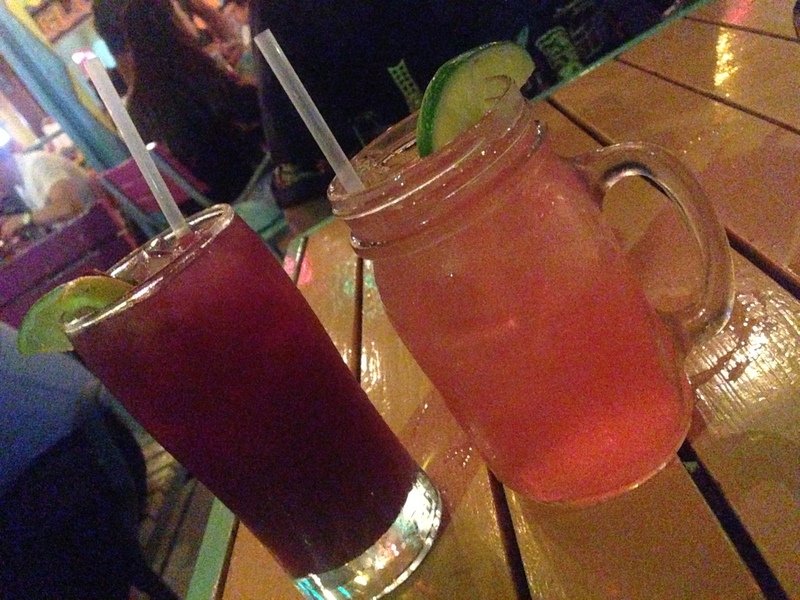 The sangria is good, but what is better with great barbecue than spike lemonade in a Ball jar? Rum, Vodka, pink lemonade, works for me! Next you have to order appetizers, especially here, because it can be a 30+ minute wait until your food comes. Normally I would have no tolerance for this, but in this case, its all worth the wait. So the appetizers come relatively quickly compared to the rest. Its not like you need appetizers, but if you are drinking, and hungry, you definitely have to eat something before you wait for the food to come. 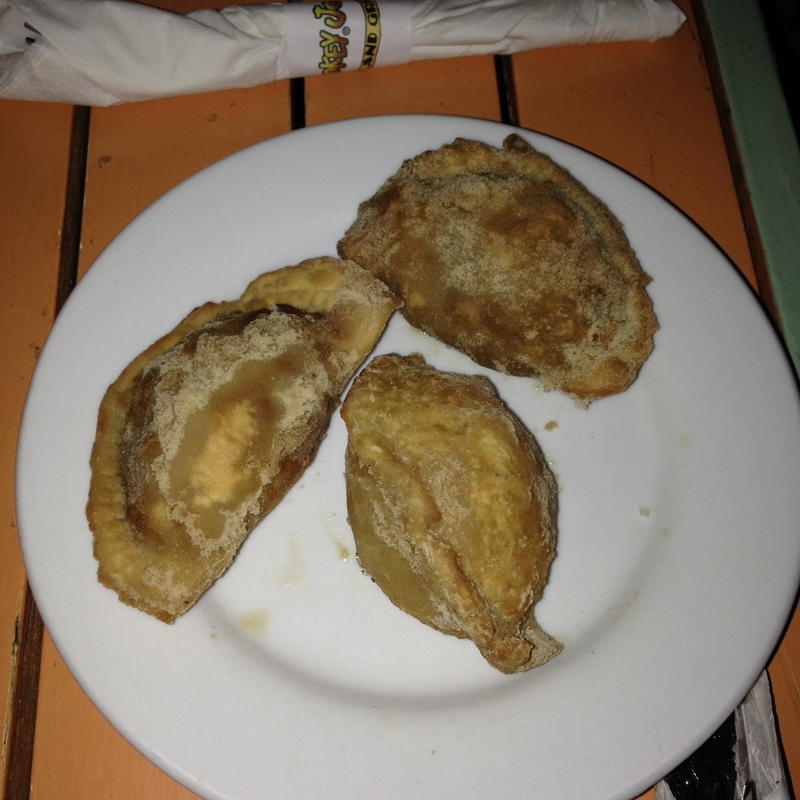 The West Indian Pastiches, a fried pastry, one filled with chicken, one with beef, one with Dutch Gouda Cheese. All delicious. Light, flakey, filling, great ingredients. The one cut open to the right is the chicken. 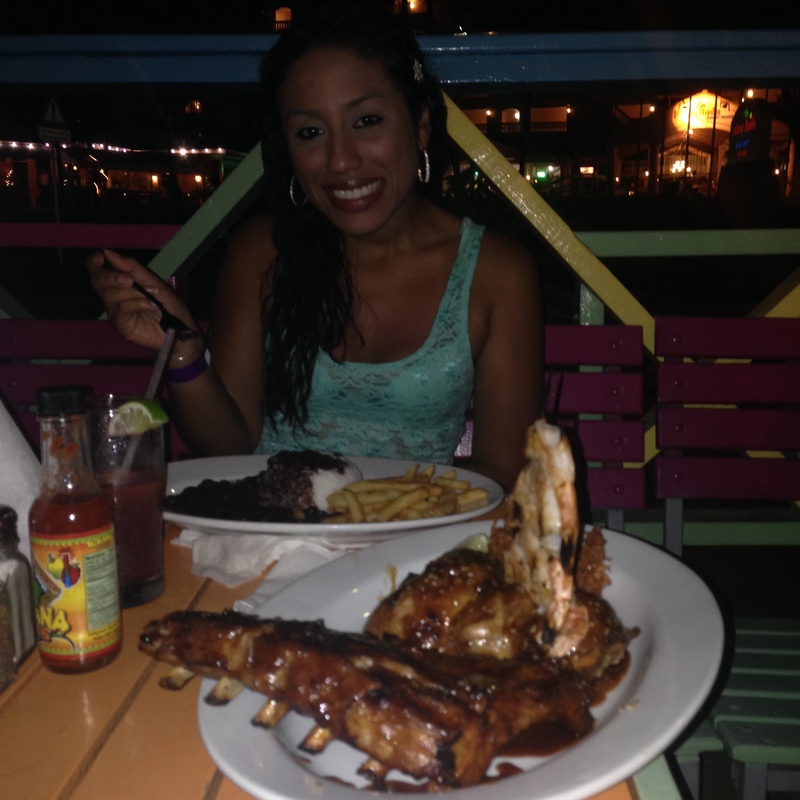 If its your fist time here, the obvious thing to get is the Platter for Two which includes 2 sides per person, half a rack of pork ribs, half a rotisserie chicken, shredded pulled pork, and 5 large Caribbean Shrimp. The photo below should give you some perspective. The sides include, rice, beans, fries, and home fries. There are others, but the home fries are delicious, and the rice and beans are only something to distract you from the huge meat intake. Bring your appetite or bring a doggie bag. 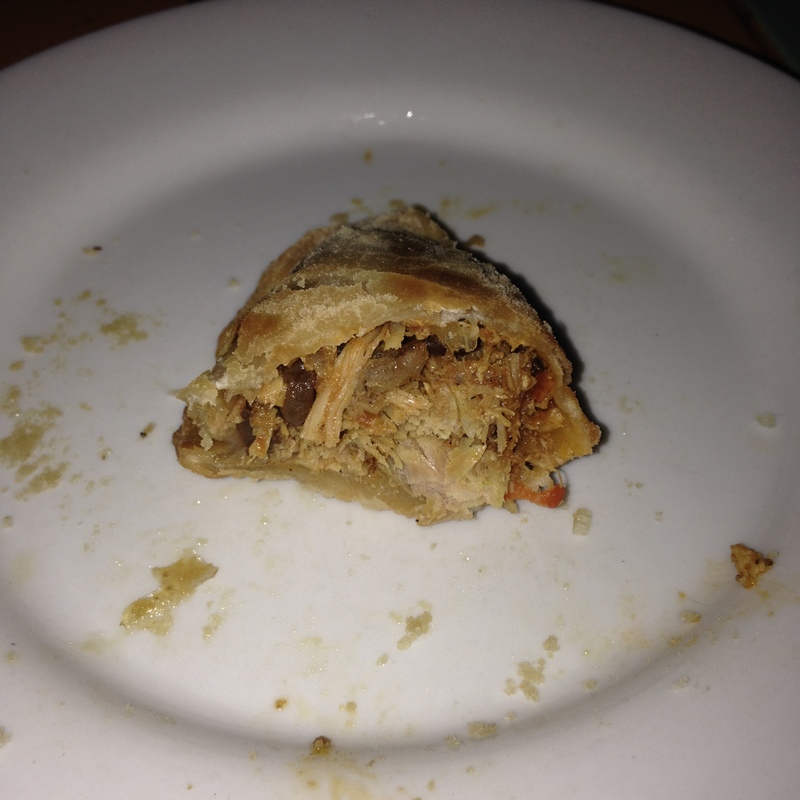 The ribs alone were to die for… the crispy crunchy crust with the sweetest tenderest pork that falls off the bone. Its truly barbecue at its best. The best part is, its all at a reasonable cost. I think it came to about $70 for two, with drinks, appetizers and you really cannot beat that for something this good. PS – A word of Caution: You will find Mild, Medium and Extra Hot Sauces on the table. Proceed carefully. 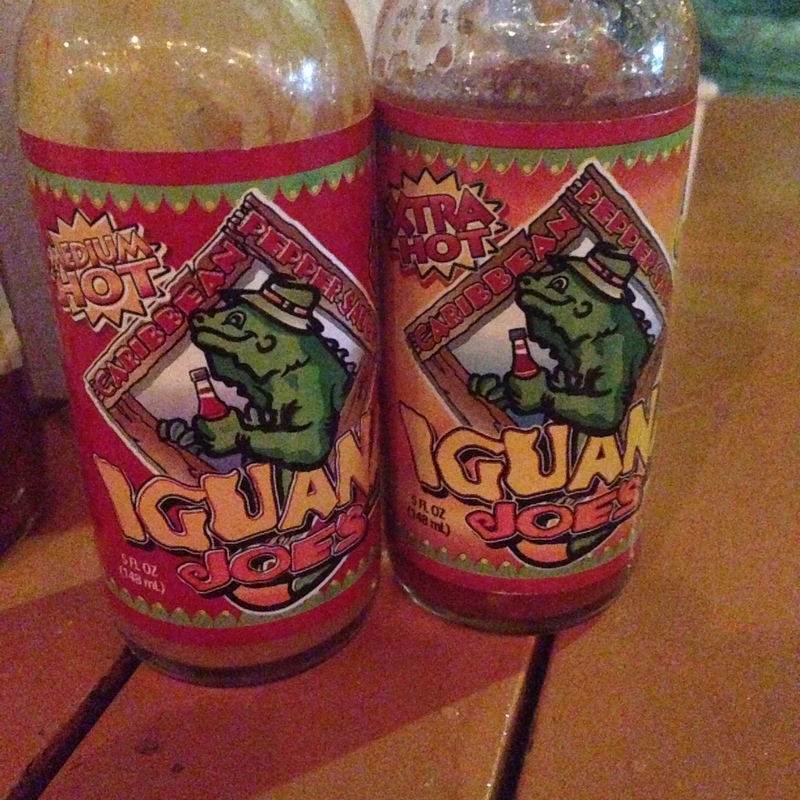 I can basically eat the hottest stuff on the planet next to lava, but the Iguana Joe Hot Sauce not only uses Habanero peppers, but Scotch Bonnet Peppers as well, trust me when I tell you to use no more than a mere drop of this at first.